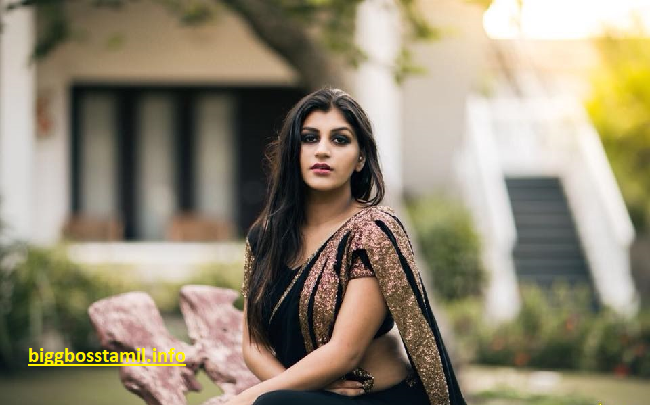 Yaashika Aanand Bio: Here we will be Writing about the First Contestant of Bigg Boss Tamil Season 2 Yaashika Aanand.Makers given a chance to some models in this season, They Picked up Yashika into the List who is an Instagram model turned actress. She Is Popularly Known through her Tamil Films and Moreover she had made many guest appearances in the college Functions across Tamil Nadu. She has Increased her fan Base with a role named “Kavya” From the movie Iruttu Arayil Murattu Kuthu. Here are the complete details regarding her Age, Family and Movie Details. As Said Above, She is popularly Known as Social Media Influencer and Model. Yashika Attended a Number of Debates with her Bold Answers regarding the women welfare in the society. She even raised Several Issues on Empowerment and got positive results as well. Finally, She entered the Bigg House as First Contestant of season 2 and all are damn curious about her Journey in Bigg Boss which was written below. Yashika Started her Carrer as a Model By Using Instagram. She stepped into the Kollywood Industry after getting a stardom through the social networks. Aanand Slowly raced towards the Tamil Movie after making her Debut As a Molested Girl in 2016. She had done a good number of Supportive Roles as well. Moreover, she was Contacted by the Bigg Boss in the season 1 itself when she Denied the Offer the Softly with Dates Problem. Eventually, she entered the show in its second season. Here is the complete list of Movies of Anand. NOTA is a Bilingual Film Starring Vijay Devarakonda which will be released Soon. Yashika Is Also Known as Contravelsial Heroine as she took Bld Steps to solve the Problems and all. She had been dragged into the Many Controversies till now. For her role in IAMK, She was Trolled for being acted in the Adult Comedy Film Keeping Her age as a factor to troll. Yashika Stated that there is no wrong in Acting for Sush Movies as they are also a part of Tamil Movie Industry. Moreover, she opened her Interest on Blue Films in the same Interview. She Entered the House as First Contestant. Bookmark the Page to get more details and the Elimination Status of Yashika Aanand. Hi yaashika, I’m a girl n I’m your friend. Because my birth of month n birth of years was same with you n age also same.. Keep going. All the best darq. And your best friend Aishwarya also rocking in bigg boss. Both of you congratulations.